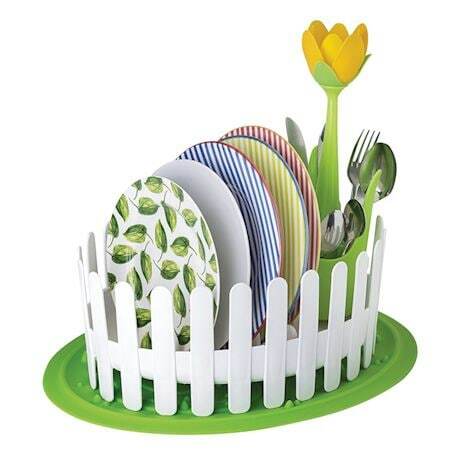 Simplify your life and beautify your kitchen with a drainer set that's decorative and functional at the same time. 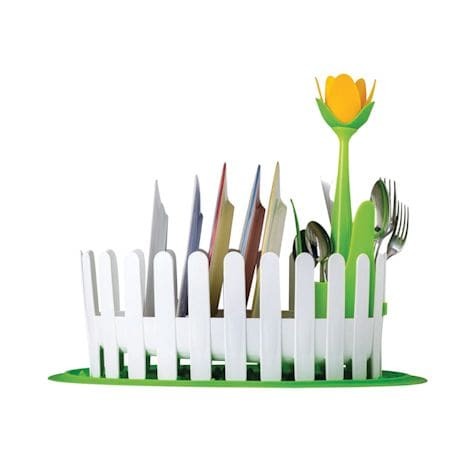 A sweet garden fence holds your dishes and bowls as they dry; the pop-of-color flower holds your silverware in its base. 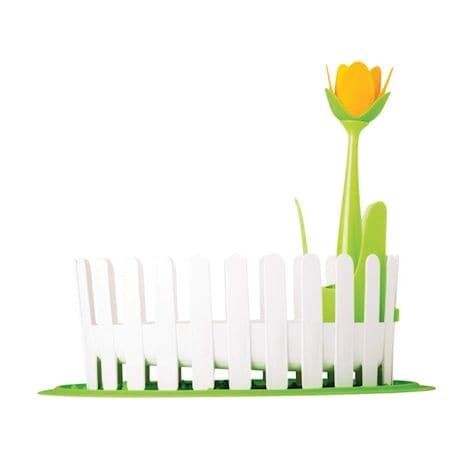 A must for brightening small spaces, with a bright green no-slip mat. 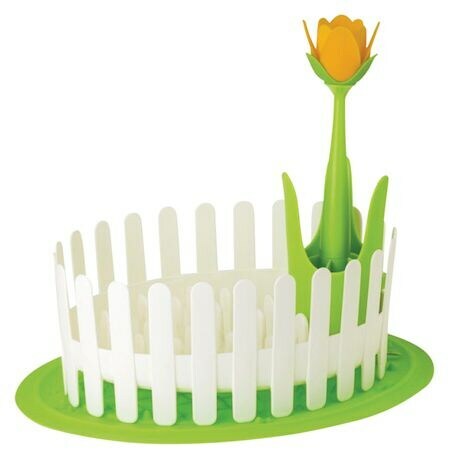 Made of polypropylene and silicone. 8¾" dia x 141/8"H.